As readers are no doubt already aware, the ‘ceasefire’ of July 15th lasted a mere six hours due to the fact that terrorist organisations in the Gaza Strip did not cease their fire of missiles into Israel. 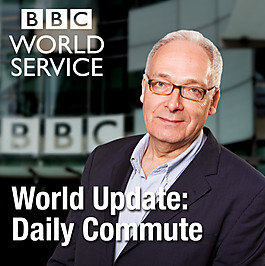 However, a BBC World Service radio programme – BBC World Update: Daily Commute – which was broadcast at 05:30 US Eastern time (12:30 Israel time) on July 15th – i.e. three and a half hours after the ceasefire supposedly came into effect, – gives some interesting indications regarding the BBC’s already emerging framing of the topic of the ceasefire. The news bulletin then moves on to an interview with James Reynolds in Tel Aviv, after which the newsreader introduces Yolande Knell. The programme then returns to Dan Damon. Let’s look at that last part first. After having spent the entire item telling listeners about “half a ceasefire” but failing to clarify what that really means in practical terms, Connolly in his last sentence finally informs them of “a bit of rocket fire …towards Israel” (not at it) at a “relatively low intensity”. In fact, between 09:00 and 12:30 local time (when this programme was broadcast) over 22 missiles had already been fired at the Eshkol region, Ashkelon, Sderot, Ashdod, Kiryat Malachi, Be’er Tuvia, Netivot, Rehovot and Nes Ziona. One of those missiles landed in the yard of a house in Ashdod and one person was injured in Sderot. Three minutes after this programme went on air, missiles were also fired at Haifa, Daliyat al Carmel and the Carmel and Zichron Ya’akov areas. All in all, between 09:00 and 15:00 local time, fifty missiles were fired at civilian targets in Israel by terrorist organisations in the Gaza Strip. By no possible interpretation of the word is that a “bit” of rocket fire. Notable too is of course Knell’s description of convicted terrorists – including those freed in prisoner release deals – as “Hamas activists”, the fact that at no point in this broadcast are listeners reminded that Hamas is an internationally designated terrorist organization, Connolly’s bizarre reference to Hamas being “seen” as an offshoot of the Muslim Brotherhood and Damon’s description of Kevin Connolly’s location as “the Palestinian territories” even though he was in Jerusalem. Likewise, it is remarkable that both Knell and Connolly chose to highlight the same two issues from Hamas’ pre-existing list of demands – ignoring no less significant other ones such as the demand for the Palestinian Authority to transfer money to pay Hamas employees and the demand that parties unnamed “stop interfering in the new unity government”. Whilst Knell and Connolly focus on what he terms “economic restrictions”, neither of them bother to clarify to listeners that Egypt’s actions against the smuggling tunnels came as part of its crackdown on Jihadist terror in northern Sinai and that Israel’s measures are aimed at preventing the entry of weapons into the Gaza Strip will obviously be just as relevant in the future as this round of conflict has proved they were in the past. Most significant, however, is the fact that by the time this programme began at 12:30 local time, the ceasefire had been rejected by the Palestinian Islamic Jihad and Fatah’s Al Aqsa Martyrs Brigade took responsibility for some of the missile fire during the supposed ceasefire. Most importantly, Hamas – not just its “military wing” as claimed several times in this programme – had already rejected the ceasefire via its spokesman Sami Abu Zuhri. “In an early-morning meeting, Israel’s security cabinet approved the cease-fire, which calls for a de-escalation of fighting by both sides starting at 9 a.m. local time on Tuesday, with hostilities ending within 12 hours. At a news conference at a hospital in Gaza City, a Hamas official said his group wouldn’t observe the cease-fire terms proposed by the Egyptian government because no one had conferred with them. It will be worth keeping an eye on additional BBC reporting on the topic of the ceasefire-that-wasn’t in order to note if it is reported in a similarly inaccurate and misleading fashion, downplaying both Hamas rejection of the opportunity for a halt to hostilities and missile attacks on Israeli civilians. BBC evening news: 4 minutes on Gaza – Israel with 5 dead. 89 women and children killed in Afghan car bomb – 15 seconds no dead babies on screen, no wailing women.